The current obsession with Pokémon might leave many of us scratching our heads. 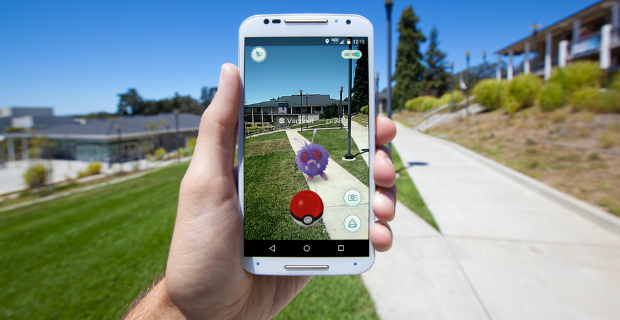 Children, teens, and even adults are embracing this new app with gusto and are running around the neighborhood in an effort to “catch them all”. Suddenly, our houses are filled with conversations about eevees, lures, Poké balls, and stops while our dogs lay exhausted on the floor from all of the extra walking they have endured. In a strange twist of fate, our children, teenagers and young ones alike, are all talking about Pokémon GO. This newfound fascination for the digital version of the Pokémon universe isn’t limited to our households. In fact, the free app has been downloaded at least 15 million times and that number is undeniably climbing as more countries are able to access this game. As our sons and daughters reignite their fascination with Pikachu and the other little pocket monsters, they are heading out in droves to explore our neighborhoods for digital versions of their favorite trading card game. This finds us in a unique position, questioning if we should let our kids play Pokémon GO. Pokémon GO: Yes or No? As our sons and daughters strive to “gotta catch them all”, there are some surprising benefits hiding behind that desire to snag an elusive Pokémon or the tedious task of hatching an egg. One obvious positive side effect is that this app gets our kids moving and walking outside. To play the game, users need to collect Pokémon, new gear, and find gyms that are located at different places within the community which physically requires our children to be active without us nagging. In addition to physical activity, this app allows our children countless opportunities to hone their critical thinking skills. Surprisingly, there is a lot more to this game than meets the eye. Players capture and evolve their Pokémon, requiring math and problem solving. If a user is on a team, they will need to be able to work together with friends and family, creating ample opportunities for bonding and cooperation. Even though this engaging app has people walking around searching for new Pokémon and Poké stops, there are some stumbling drawbacks to this favored game which are obviously concerning to parents. Some users have become so focused on the game and their screens causing them to literally be completely distracted while walking and driving. Stories abound about players walking into signs, tripping on sidewalks, falling down, or causing traffic accidents. In addition, many experts are beginning to ask people to exercise caution and to avoid secluded areas due to fears about pedophiles and criminal activity. Never let a child play alone. Implement the buddy system or team up with friends for added security. Get the whole family involved. By playing as a family, you will extend family time to include daily walks and share the thrilling experience of finding Pokémon. Limit excursions to day time hours. By doing this, you will be more visible to drivers and respectful of your neighbors. Map out specific routes or areas that children are allowed to walk. This will help prevent children from wandering into dangerous areas and will help you be able to find them if needed. Make them visible. Avoid wearing dark colors that blend into the scenery and don reflective or visible clothing to make hunters standout for motorists. Encourage manners. Tell children to utilize sidewalks and respect other people’s property. Carry a backup battery charger. This will ensure a child can get in touch even if their battery is drained. Instruct kids on techniques to help them pay attention to their surroundings. Help them understand the need to watch where they are walking, where they stop, and who they interact with. As added security, help them set devices to vibrate when a Pokémon is near so they can keep their eyes on sidewalk or roadways. And finally, never drive while playing. What methods do you use to keep your children safe while playing Pokémon GO?